A Professionally qualified Makeup Artist & Hair Stylist covering Manchester and Lancashire, Claire has been a leader in her field for over 10 years and brings an artistic flair, professionalism, creativity, and a unique sense of style to every assignment. Claire gained nationally recognised qualifications before continuing her professional development by studying directly with the industry leaders including, Jane Iredale, MAC Pro, Patrick Cameron and L’Oreal. Claire is able to blend this knowledge to create wearable, durable hair and makeup for real women; with a touch of glamour. 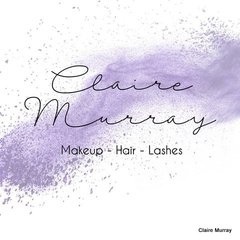 Highly regarded for her signature look of fresh, natural and flawless makeup, Claire is known for her ability to create unique and specific looks for any occasion be that a Wedding, Prom, special occasion, catwalk or editorial shoot. One of her forte’s is bridal hair and makeup and making her clients feel and look wonderful on their very special day, whilst her extensive experience and calm demeanour ensures that what can be a stressful morning runs smoothly and the bride gets to the church on time.